1. Go Vikings...err...Coyotes...err...Raiders? Since this is only Wright State's second trip to the Big Dance, not many people know much about the school. 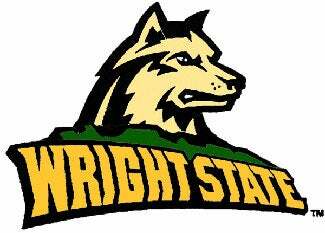 Despite what Wright State's logo entails, their mascot is the Raider. It is not coyotes or even their circa 1993 mascot, a viking. 2. It's Vitaly's world...we're just living in it. Vitaly Potapenko is Wright State's most famous basketball alumni. The Cleveland Cavaliers selected him #12 overall in the 1996 NBA draft. In the words of GOB Bluth, "They made a huge mistake." Fans of the Celtics, Supersonics and Kings also have the same sentiments.